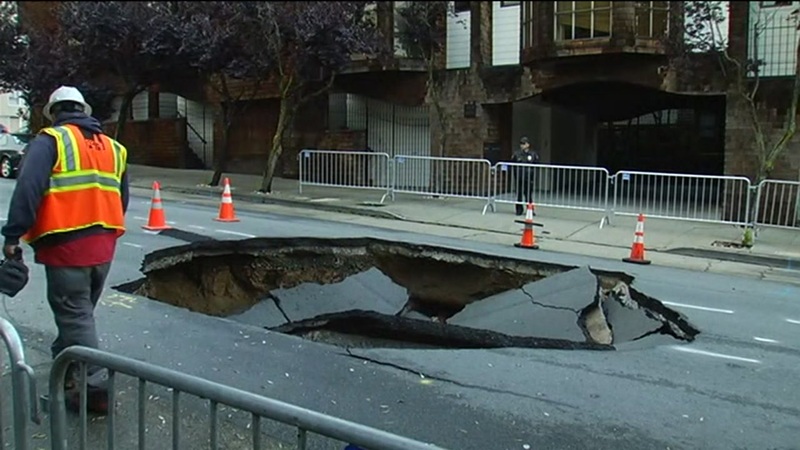 SAN FRANCISCO (KGO) -- Repairs are underway in San Francisco to fill in a giant sinkhole in the city's Presidio Heights neighborhood. It opened up along Sacramento Street between Lyon and Baker on Thursday. When Public Works crews threw asphalt on it, the weight caused the street to cave in. They say it could take up to three days to fix it.